Mail chew, poked dwarfprofile, admin. Lunch - got the washing machine fully apart finally, now to drive the bearings out. 2x partner calls back to back, bit of research. Board call. Mail chew, built ESC bug stats with a new method to capture all components, ignore NEEDINFO / UNCONFIRMED - hopefully over time it will improve things. Lunch, attached a new hot water isolator to the washing machine outlet so we can have hot water again; good. Plugged away at dwarfprofile, fixing the duplicated accounting for inlines, and building an address space map / tree. When do you have to hit your washing machine with a sledge-hammer to make it work ? When your main bearing is corroded and seized-up with a vengence; finally got the spider's shaft through the main bearing - by breaking the bearing apart with screwdriver & pliers: one more bearing to go. Recovered my laptop from black-screen of picking the wrong GPU to drive the wrong display by prodding fglrx. Mail chew; pushed my openSUSE slides. Pleased to see Cor celebrating ten years of support and services (now) around LibreOffice in the Netherlands; great to have him as a Collabora partner. Keith Curtis did a nice second part of his write up of the HiDPI work that landed in recent LibreOffice 4.2.x's - I love his take: "In fact, Caolán appears to be an email alias that 3 developers are attached to." - it often seems like that. Linux Format Column at some length. Dinner. Spent much of the evening disassembling our Hotpoint WMA40 washing machine to replace the bearings - unfortunately, that was (supposedly) the easy part. Seems like I'll need to do some metal bashing to replace some of the most corroded steel-work too; ho hum. Stumbled off to NCC, enjoyed Claire's howto read the Bible bits; back for a fine lamb lunch, slept in J's lap for a while while babes banged about happily; Emily over. Dinner, started to poke at disassembling the washing machine to get at the bearings - the joys of youtube videos on the topic make for an incredibly pleasant experience vs. the manuals of old. Gordon Sermon on < href="http://www.parkstreet.org/library/sermons/series/Samuel-Series">1 Samuel, Cabin Pressure, sleep. One thing I noticed about openSUSE was the rather nice We Believe poster (in fact there was some sort of cube made out of three points but it read a bit like this). Crisp and punchy. Fine lunch, met up with some Greeks & Brazilians nearby; caught up with Wookey & Jan W. Got a tour of the City (jammed full of young Catholics singing modern Hymns) - wandered the walls - an amazing place. Bus to the airport, poked at some German comments for Tobias on the way back; discovered there are some huge swathes of comment-free code these days; even VCL, added directory white-listing to find-german-comments to speed it up. Home rather late. Up before dawn, taxi, flight to Dubrovnik - bus into the beautiful town - what a location ! Checked in at the University & met the cheery organisers; caught up with lots of old friends. Out for dinner in the evening with Andrew & Rich, wandered the old city a little, back for a beer & up late working on slides. Mail chew; started pondering an openSUSE conference talk for Saturday, and booked ground travel for tomorrow; fun. Lunch. ESC meeting. More slideware hackery. Mail chew, contract review; red-lining etc. Poked at some test builds of LfC 4.2, lots of bug-fixing going on there (and in 4.2.x) from the team. Pleased to see the freedesktop summit write up, particularly the XDG_CURRENT_DESKTOP feature; if only we had had less pushback, and more pragmatism a decade ago on this. From a LibreOffice perspective, I'd still like a ':' separated set of features to integrate with, so eg. we get LibreOffice/gtk+ integration under LXDE without having to hard-code an endless series of desktop names with matching preferred toolkits into the code. Partner calls back to back; Emily over for dinner; read stories to babies. Back to work, mail catchup, sync. with Kendy. Great to see the line-up of LibreOffice GSOC projects (thanks to Fridrich / Cedric for their help there). Great to see Honza's work on LTO in Firefox, would love to compare code quality vs. WebKit by doing it for them too; but tantelised by the prospect of a similar write-up for LibreOffice. William Manley kindly pointed me at his Bloat Blame tool as a useful alternative to Dwarf Profile - tried it out on a biggish LibreOffice binary but seems it needs optimising first. Lydia & Janice over for dinner; worked late, finally ordered the replacement bearings for the washing machine: sounds like they're grinding themselves to bits finally (after 10+ years of use and 4x children's washable nappies) - got some new seals & brushes for good measure. Up early; insured the car; returned hire-car to Leeds Airport, drove home; cruise control makes long journeys so much easier. Arrived home, checked mail, ran some builds overnight. Easter Egg hunt in the garden in the morning - much fun. Walked into town for a service at the URC, caught up with some of the next generation of hackers. Home for a huge lunch; out for a walk in the afternoon up and across the river and back. Up late with the family. Up early, out to Brimham Rocks, climbed up and down, over and round lots of wonderful rocks. On to meet Chris, Joy, Auntie Nicki & family for lunch, out for a walk around a reservoir. Home to see Robert: not there, slugged variously. Up late talking to Bob. Into Leeds to look at a series of cars; got sucked into the 7 seat, Prius+, took a test drive, and got a reasonably cheaper second hand one; an interesting experience driving it - takes some getting used to from a manual-shift version. Home for quick lunch, out to Sandra's for some swimming, and spent a while fixing their internet connection. Back for fish & chips, put babes to bed. Poked at mail, code; cars. Setup a meeting with a chap in Leeds with a car: amazed at the amount of non-advertised nonsense involved - a very dodgy car from a very odd area; home in a hurry. Lunch. Tried to research on-line, caught up with sberg on comprehensive interface descriptions. Out with Julia for a pre-wedding-aniversary dinner in town, rather lovely to have some time together. Up, 8am partner call, off for a family walk near Mother's old home, fine picnic in the sun, wandered along a (supposedly) Roman road nearby. TDF board call on return, poked at mail, dwarfprofile bits and code generation. Relaxing day out, checked out the Kia Carens - rather impressed vs. the Toyota Verso: much less lameness removing cheap features from the bottom end of the range. Wwalking in a forest nearby - with some fine ruined follies, streams to jump across etc. lovely sunny day, very relaxing. Off to see what Toyota is doing with their latest Verso; disappointed with the design, quality & feature-set vs. the Kia: a shame. Home, mended bit-rot on Father's ancient XP PC, watched a TV series, talked, bed. 8am partner call - if only all holidays started this way; good to catch up though. Breakfast, brain-dump with Vince, poked at mail, team call, partner call, spent a little while sorting Dad's tools in the garage with J. another team call; dinner; bit more mail catchup. Off Knaresborough URC for the morning service, rather a good bash; talked to some of the young people: "oh, we use LibreOffice" - joining up the islands of cluefulness. Back for a fine roast lamb lunch. Moved Father's oak, teak, and other hard wood collection from a pile under plastic in the garden onto the racking in the new shed; phew. Watched Little Women in the evening with the babes. Up; mail chew, packed the car, and took the train to my parents, with J. driving the four kids. 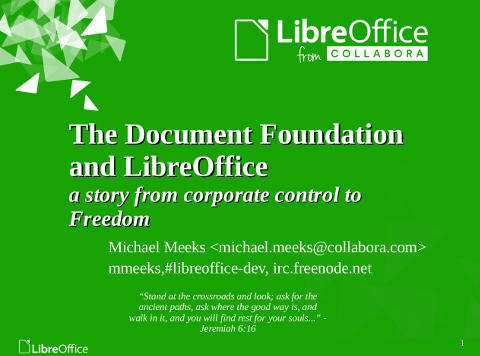 Spent quite a while in the train trying to answer the question: "Why is LibreOffice so big ?" by doing a bit more hackery on MJW and my (long paused) dwarfprofile to the point that it generates at least some degree of blame around code size caused by C++ inlining etc. Always a bit concerning to see include/ consuming twice the size of the source code directories, but prolly my code needs some debugging. Pleasant evening with the parents. Chewed over busted car, poked insurance, setup replacement, emptied it of contents; mail chew - partner call, contract review. Dinner - five seat rental car delivered, babes greatly enjoyed hiding in the boot etc. Worked until late. Up early; still interested at Mozilla's lack of positive engagement with either their newer tranche of critics, or their legitimacy problem. Interested by a cogent analysis of the issue; and also to see Brendan finally comment himself. I hope the spectre of legal issues doesn't get in the way of truth telling & reconciliation. Lunch; ESC call - interrupted at the end by a call from the wife, just involved in a car crash - thank God all four babes and better half still in one bit. Marked time until their return, posted minutes. Encouraged to see a nice new LibreLogo portal with some fine content. Babes returned, comforted & fed them, put them to bed. Mail chew; partner call; sync. with Andras, lunch, partner call, sync. with Matus; partner call. J. out counselling, worked late; bed. Up; mail chew; document review, call with Tim etc. Lunch. Sync. with Philippe, team call, more work; Dinner with babes, worked late. Up earlyish, breakfast, mail check and internet check - flakey; hmm - out to Saxmundham to discover the sweet-shop was shut-down; had tea in a tea-shop instead. Back to Bruce & Anne's, packed the car; drove home. Took some of my scrap metal to a huge recycling depot nearby; now I understand why people steal lead & cables: it pays; so also good to see the new process: car numberplates, no cash payments, identity checks etc. Out for a dinner with the family in the evening at Prezzo - to celebrate a term of hard work by four wonderful little girls; three music exams, good progress at school, and fine reports: a privilege to be involved in their lives; Thank God for Tesco vouchers. Up earlyish; breakfast; off to Aldeburgh CofE - rather a good service, but the vicar sadly retiring in a week. Nice to return to where we were married. Back to meet Chris, Carrie & babes - who moved in next-door & see their plans. Lunch. Watched the boat-race - some better solution to avoiding clashes is clearly needed - perhaps some longer out-riggers up front or something. Video in the evening. Cooked breakfast; played with babes, mail / web chew briefly; wrote a bit. Enjoyed more time with the babes; fine meal bed. Last night I was appalled and saddened to see that Mozilla's principled decision to do the right thing, and stand up to a savage and vindictive witch hunt, seemingly conducted and cheer-lead both by those employed by Mozilla Corp. and others outside the organisation, had finally worn people down enough to do something that looks horribly illiberal and which seems to betray the very basis of critical protections of freedom of political views. By which I mean accepting Brendan's (apparently principled) resignation. Of course, normally the real reasons behind the scenes are opaque and I've no view or insight into Brendan: his strengths and weaknesses for the role, a great technical CV, industry, leading insight etc. doesn't necessarily make for a great CEO. Quite possibly poor communication around an issue like this is a good enough reason to remove support such that resignation is the only option. However, the communication around the resignation and the new status quo was equally if not more horribly shambolic - lets see how that trend continues. All in all it makes it look like lots of people acted for all the wrong reasons to get a terrible outcome. Personally I'm a supporter of traditional marrige; but also for reasons of basic justice a supporter of the UK's Civil Partnerships - perhaps a more nuanced view than is possible to express in the profoundly polarized US political system whose aggression seems to significantly infect social discourse; neither do I understand 2008's Prop 8. If your views differ, then my plan is to try to disagree respectfully & charitably. The point is that the community didn't trust Brendan, and Brendan chose to leave rather than do further harm to the community. leaves out the rather vexed problem of accurately divining what the community wants. I suspect that there was a concerted campaign outside - but more problematically inside Mozilla Corporation to bring the project into disrepute and thus to bring pressure to bear to achieve this objective. There is talk of a 70,000 signature petition - which sounds a lot until you consider a user-base of 450 million. Is it acceptable when sub 0.02% of users sign a petition to act this way ? I suspect it's an unrealistic view that the harm to Mozilla and by extension their great work on the open web is all finished and done with Brendan resigning; at least while an unaddressed injustice is seen, by some, to have been done. As a volunteer moderating the Facebook page, it was evident that we had many users complaining and very little supporters. Now that Brendan has resigned, everybody has all of a sudden come out from a shadow. Unexpectedly to say at the least, is that we've got users telling us that we were no longer protecting Freedom of speech and that rights are taken away. Where have these people been hiding? And it's a good one. Why didn't I speak up for Brendan before ? In my case there were three-fold reasons: first and primarily a lack of time, second a conviction that Mozilla was riding the storm, doing the right thing and that things would die down in time; but there was also a small cowardly fear of knock-on witch-hunting. Last time I discussed anything even tangentially related to this topic I was soundly and (to my view unreasonably) accused of all manner of horrible things. That has rather a chilling effect on the willingness to engage. Furthermore, that dialog is often highly emotive cf. the meritocracy kills hysteria. Since my involvement long ago I also became comfortable with being gay... I've also come to realize that change, isn't always progressive, and what looks like progress can hide other dangers. Progress is self-validating for the thing labeled progressive, and its too easy to dismiss those that seem to stand in its way but that is no more right than any other form of censorship, ... I've seen recently, too many comments that want to devalue people who stand in the way of progress as exactly the thing that they are trying to fight. LGBT issues were marginalized, and oppressed by society. Oppression is wrong, but don't be too quick to think that marginalized groups can't marginalize others, pushing views aside because they fail to meet socially acceptable criteria, whether that criteria is progress, equality or religion and heteronormativity. We might just all realize that for all someones faults, combining ideas, and not combating them, might just result in a new idea, a new change for all. I am a gay employee of the Mozilla Corporation, and I support my company's decisions regarding the selection of CEO. This doesn't mean that I'm entirely comfortable with the selection, but not because I think Brendan Eich is a threat, but instead because of the public relations repercussions. ... I have friends that hold political opinions that are antithetical to me – I do not exclude them from my life, I embrace my friends. I neither support nor understand their beliefs, but doesn't mean that I throw them away. I cannot condone holding a grudge in perpetuity. To do so would be leaving a wake of enemies behind me whereas I could instead have them as allies beside me where we do agree. ... I say to the larger community calling for the ouster of Brendan Eich, “please don't succumb to the knee jerk reaction.” I did at first, but with some thought, I realize that we need to focus on the future not exact retribution for the past. Particularly interesting in this latter post is the experience of the witch hunt even against a thoughtful, balanced, gay writer like this, K Lars writes (in bold) To the people that have threatened me about this posting, I can only look at you quizzically, laugh and then walk away. In the presence of such a difficult situation to unwind it is interesting to examine the Mozilla Foundation's governance - in particular the board that makes these tough calls. In general the idea that a freedom loving organisation should be run by a small (now even smaller), self-appointing board seems extraordinarily problematic from a legitimacy perspective. My suggestion would be to adopt best-practise, re-use the existing, hopefully representative, meritocratic membership structures inside Mozilla and give those guys a fair (ie. STV) and secret ballot to allow Mozillans to choose those who govern them and to ensure that minority views of whatever kind are also respected and represented. Of course, quite possibly doing that will result in no change, but it will bring unarguable legitimacy to whatever solution eventually comes out of the political sausage machine; that seems to be sadly absent now. I hope that a newly elected board would have the authority to make it transparently clear that Mozilla's important and valuable mission is rather orthogonal to promoting other unrelated agendas for everyone's sake. Reading some of the more savage, vinctictive, angry and unpleasant anti-Mozilla / anti-Gay feedback more recently on the 'input' site I'm appalled to even appear to be on the same side of the argument. I'm more eager to respect those individuals who expressed civilised concerns about Brendan's appointment than that extreme. Then again, there are quite a few thoughtful more moderate posters who express their concerns well. Some do believe that promoting a position on this is a core part of Mozilla's mission now. Another thoughtful poster writes on speech and consequences. Having said that, I'm still convinced this is fundamentally a slow-motion crisis of legitimacy, and nothing to do with anyone's rights, I believe it needs fixing in a way that addresses that. Up early; train to Cambridge; Collabora Productivity Quarterly management meetings all day; really good to catch up with Philippe, Rob, Tracie, Mandy, Kendy & Andras - a great team; had a board meeting. Train home, and off to Aldeburgh. Up early; train to into London, spoke at the OpenSource Conference, met a lot of interesting / new people with Tim; home in the evening. Up early; mail chew, wrote Linux Format column on systemd. Lunch; partner call. Great to see Fridrich, Valek, David & co's Document Liberation project announced - also some pretty slides. TDF board call, partner call, another partner call; break; another partner call. Sleep eventually, woke in the night - read some appalling news on planet Mozilla, sleep again. Up early; into Cambridge; management meetings all day - good to catch up with the guys; out for a quick pub dinner in the evening, and back for a partner call. Admired Guy's photographic setup, caught up with Philippe; train home bed.